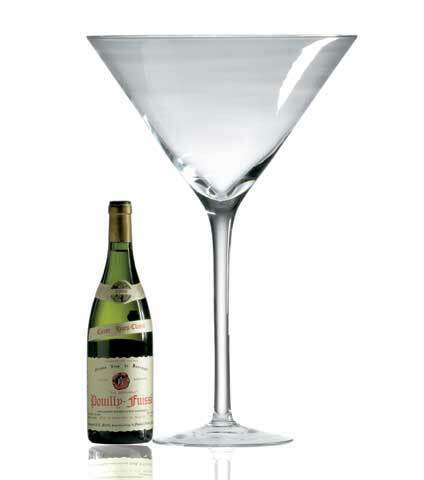 This huge Ravenscroft Maxi Martini glass is sure to become the conversation starter in your home! Often etched for awards, used in displays and or just fun. The Ravenscroft Maxi Martini, made from the most brilliant 100% lead-free crystal, is hand crafted in Europe. This handcrafted masterpiece can be displayed in a restaurant, winery or retail shop, or as a stand alone piece in your home.